No content of this site may be duplicated without written permission. 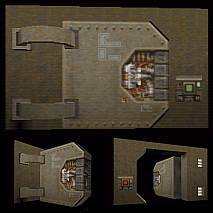 It has some neat mechanical latches that open before the door. 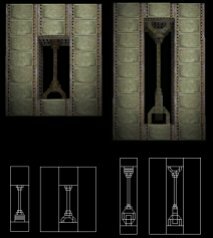 Again here EutecTic has shown his skills in creating something truly mechanical. 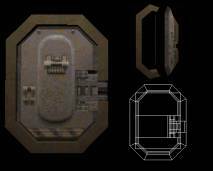 Sub hatch style rotating door with a latching hinge made from func_trains (80 x 108 x 16) with additional sound effects. More details in the zipfile. 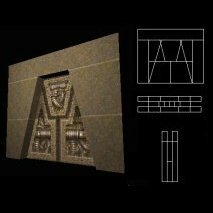 Hexagonal shaped, iris opening door made from 6 func_trains (192 x 164 x 32) with triggers and target_speakers to give it a "real" operating door sound. 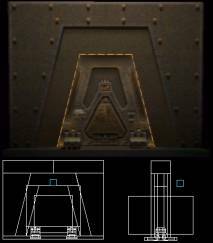 Beware that the operation is not perfect and tiny gaps develop between the individual door panels after it has been operated once. Careful lighting will help in hiding those to the player. 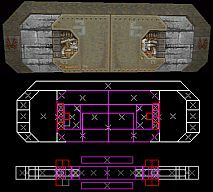 A rotating door with large hinges recessed into the wall and welded onto the door. Activated by a switch on both sides of the door. A pair of windows with a chain bar in the center. Nice job on these windows. 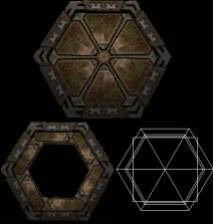 These are similar to the ones seen in e1u1 I think. It's a large "security door" with timed latches. This thing works like a charm. 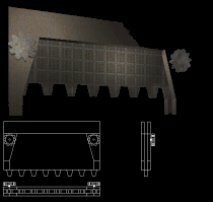 There are 8 timed func_button entities that have additional sounds for a great effect. Good for a keyed door. Read the text file for extra info. A large hanger door sent in by Sagnor. The "teeth" on the bottom are meant to close into the floor. 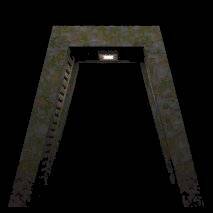 This time it's a door using the mine textures from Q2. 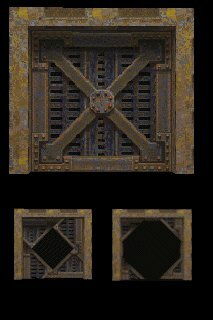 Most of the mine textures should fit if you want retexture it. An 'iris door' for your Q2 levels. Four doors open at offset angles to create a nice effect. Two doors open to the left and right and the third opens upward. I did a little vertex editing and took out a couple overlapping brushes that were causing a seam. 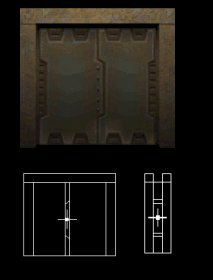 A Quake 2 door I originally made for a Quake 1 prefab converted back over to Quake 2. 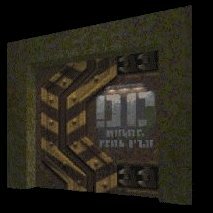 There are 2 func_door entities "teamed" so they are in synch with each other. This is more or less the same as above but EutecTic took the time to convert it so here it is. 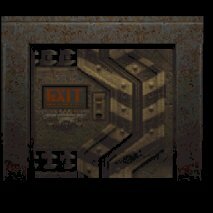 Quake2 typical doorway (128 x 128). Light brush on ceiling has a light emitting texture set at 10000 by default (e1u1/ceil1_1). Made to be inserted in a 32 unit thick wall.